We enjoyed these on Naan (Indian flatbread, great options at both Aldi and Costco) but pitas would be great too. I added a few ingredients to the sauce from the original recipe, and also threw in some spring mix to increase the veggie content. We ate these twice in three days, and they will now become a regular in our rotation. They're a fun change of pace and I hope you'll try them, too! 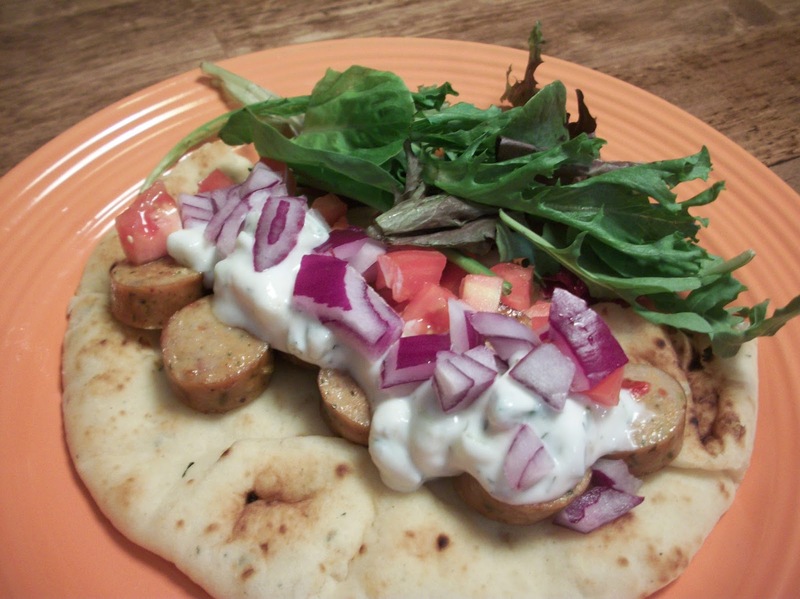 Find more great recipes at Inspiration Monday, Inspire Me, Mix it Up, Foodie Friday, What's Cooking, Showcase Your Talent, Full Plate, Foodie Friday, Friday Flash. In a large skillet, cook sausage over medium heat until heated through. Meanwhile, in a small bowl, combine the sour cream, cucumber, vinegar, oil, garlic powder and dill. 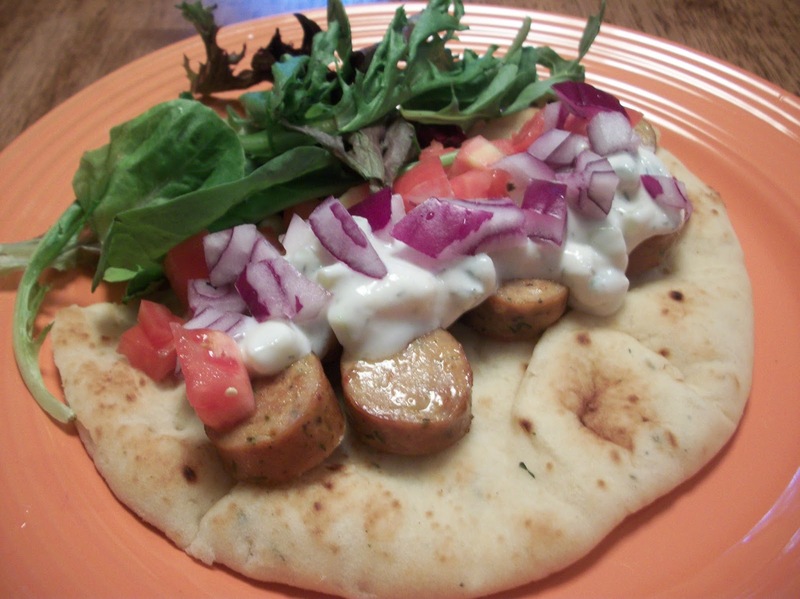 Serve chicken sausage on pita breads with lettuce, tomato, onion and cucumber sauce. Yield: 4 servings. What a great Gyro, this looks awesome! Hope you are having a great day and thanks so much for sharing with Full Plate Thursday.